So, Greg over at http://www.feedyournerd.com/greggles-tabletop has been running a little event during October, originally between a few bloggers but now a whole lot more, called #dreadtober. 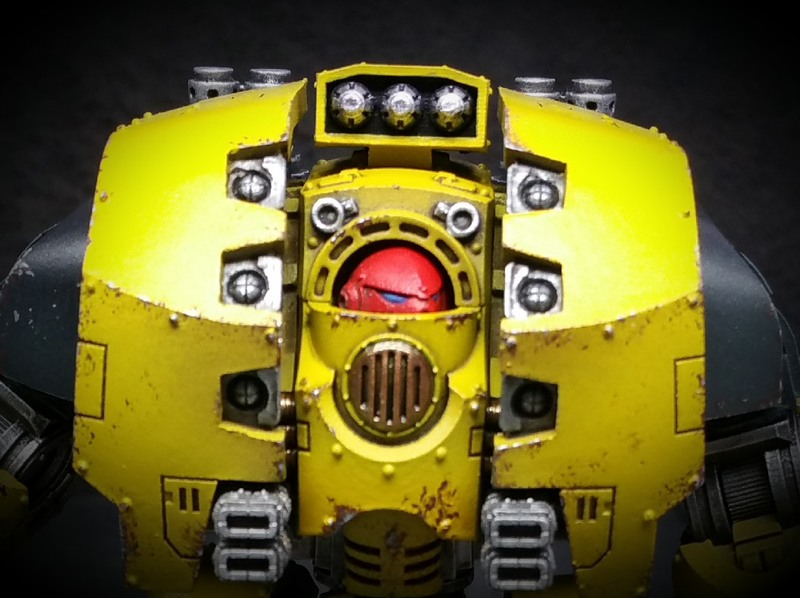 The idea was to get folk to paint up a dreadnought in appreciation of their awesomeness. I’ve just managed to paint up the Leviathan in time to take part in the event. No prizes or anything, all for the fun of it. Head on over to Greg’s blog and take a look. Leviathan Dreadnought part 3 tomorrow! Previous Previous post: Leviathan Dreadnought part 2. Next Next post: Leviathan Dreadnought part 3. Dread is looking so good, I went to buy it and its not yet available. Now I’m double jealous! Lucky enough to get one at the 40k Open Day. Should be available soon bud.